Heavy duty chemical anchor fixing a tough and reliable construction to cover most heavy duty fixing applications. Pre-cut to standard chemical anchoring lengths and supplied with nut & washer. Hex insert allowing rotation and chisel point to break chemical capsules. Suitable for use with both chemical capsules and injection Chemical Anchor Resin. Particularly suited where fixtures require placing over the stud. Each box comes complete with setting tool. Public seating plus many more numerous applications. Zinc Plated offers excellent resistance to corrosion. 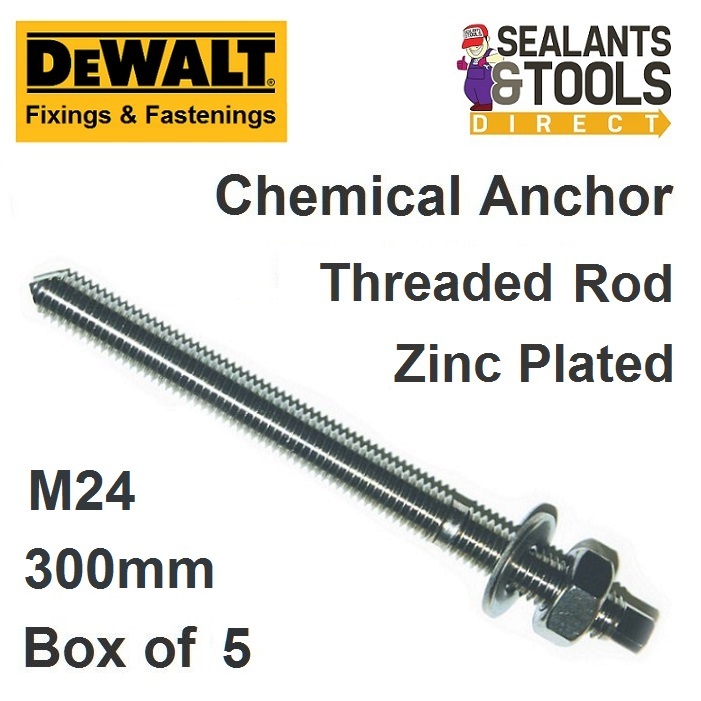 The Full range of Chemical Anchor Studs Resins and Tools.